Threshold Jr – April 24th – Gargon Part 2! We have some helpful tips to aid you as you search our new online booking system for the available accommodations at our venue, Manhattan Beach Retreat Centre. (download printable PDF or keeping reading below). 2. 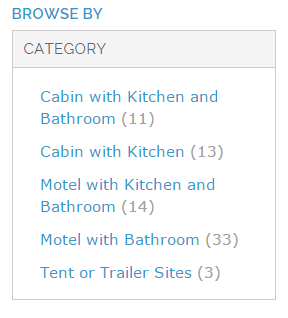 Enter dates desired (Aug. 9-12, 2018 for all three nights) and press “Go” to filter to units available on those dates. Review units from the results listed on the right, click on unit picture or name for more information. To make final selection, click on desired unit and enter names of all people who will be staying in the unit. Also include the date of birth of any children or youth and note any allergies. Click Proceed to Checkout on right side of screen. Select Register To Create an Account or enter your email address and password if you have an account already set up. If you don’t remember your password, click Forgot your password? to have it reset. Billing Information – enter required information and click Continue. Payment Information – enter information required for payment by VISA or MASTERCARD and click Continue. The deposit (equal to one night rental) will be billed to your credit card on the next business day. Any balance remaining will be automatically billed to you credit card the week of July 16, 2018. Order Review – review order details, select I agree and click Place Order. NOTE – your unit has NOT been reserved until you click Place Order. Once your order has been completed, you will receive a confirmation email. A registration package with your unit details and final balance owing will be mailed to the mailing address provided.